In a move supported by convention organizers, Netflix and Marvel have made a joint decision to cancel their panel for The Punisher at New York Comic-Con. The Netflix series, which folds into the Marvel TV universe along with shows like Daredevil and Jessica Jones, does not yet have a release date. Netflix has planned to make that a surprise announcement, instead of giving fans the date months in advance. It’s possible they had even planned to make the announcement and release the episodes during this very panel. The panel, which would have taken place at 5:15 p.m. EDT on Saturday, coincided with the show’s rumored release date of Oct. 7. While this may cancel plans carefully laid out by Marvel and Netflix executives, it’s a prudent move on their part. 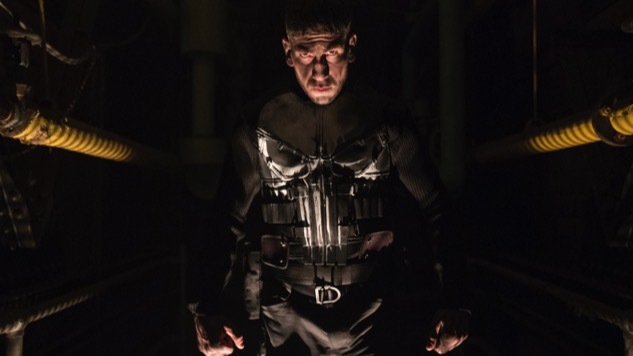 The show focuses on a man (Frank Castle, played by Jon Bernthal) who uses violence (and lots of firearms) to kill dozens of criminals, and would not exactly play well in the current climate marked by calls for gun control. Those calls originate from the mass shooting in Las Vegas this past Sunday, in which a 64-year-old real estate developer killed 59 people and injured 500 more by opening fire on a country music festival from the 32nd floor of a nearby hotel. It was the deadliest mass shooting in modern American history, and people are right to call for “common sense” gun control in its wake. This is a good decision, but don’t forget that it’s still a business decision. Netflix knows it could come under fire for releasing such a gun-heavy show so soon after the shooting, and they don’t want to hurt their numbers. Nor are they even the first to have to do this because of the extreme prevalence of mass shootings in America: USA’s Shooter had to make a similar choice, because it’s a show about a man who uses sniper rifles and days before its premiere, a man in Dallas used a sniper rifle to kill five police officers.